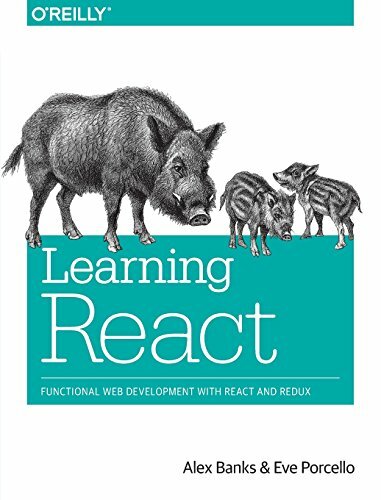 FullStack Advanced React & GraphQL by Wes Bos teaches you everything you need to master advanced React. This advanced React course will have you build a real-world full-stack online clothing store complete with credit card checkout. This React training course is best after completing React for Beginners. For even better results, you have also completed ES6 for Everyone and Learn Node. You should have a good grasp of all things React before taking this course. Wes Bos' popular courses include React For Beginners, ES6 for Everyone, Learn Node and Sublime Text Power User which together have sold over 25,000 copies. FullStack Advanced React & GraphQL is designed help learn Reactjs. incremental and easily digestible without getting overly complex. It consists of 16 hours of video content spanning 68 videos making it an amazing React video course . 11 hours are spent building the app and 5 hours testing the app. The content is spread across 10 modules. The React app we will build has five main models: Users, Items, Orders, CartItems, and OrderItems. All of them are relational and showcase the power of GraphQL Queries. Users will be able to search, sell, add to cart and checkout their favourite items in our app. After building the frontend and backend of the application, we will spend the last third of the course Testing our React app! Extensive use of GraphQL Queries is made in this course. You will also make use of GraphQL Yoga, Apollo Client & Prisma. Apollo Client will be used for Data Management. GraphQL Yoga is an Express GraphQL Server. Prisma is a GraphQL Database Interface. Next.js will be used for server side rendering, routing and tooling. Testing will be done with Jest & Enzyme. If you are serious about mastering React and becoming a Professional React Developer, you absolutely need FullStack Advanced React & GraphQL. The best Advanced React & GraphQL course in 2019. 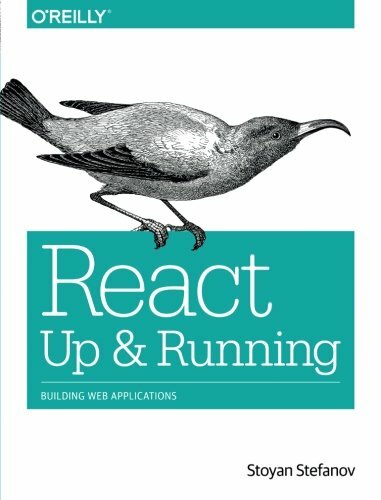 React For Beginners by Wes Bos teaches you everything to quickly get started with React in a day! 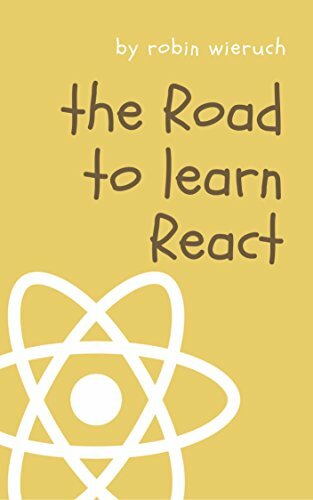 You will learn React from scratch. This React.js project tutorial will have you build an entire real-world React applications with JSX, React Router 4, FireBase, Webpack & more. Wes Bos' popular courses include FullStack Advanced React & GraphQL, Learn Node, ES6 for Everyone and Sublime Text Power User which together have sold over 25,000 copies. How to build an entire React App or React Component from start to finish. By building the React project for beginners, you will learn React will be easier. You will be taught everything you need to get started with React and become a Professional React Developer. Wes Bos React For Beginners is split up into small, easily digestible bit sized chunks. This makes learning React easy without getting complex. This React.js tutorial for beginners contains about 5 hours of video content spread spanning 29 videos. This means you can learn React fast in hours! Anyone looking to modernize their frontend developer skills cannot afford to miss this React video tutorial. React For Beginners is one of the best ways to learn React online. This is a great introduction to React language. Used by over 20,000 students. React for Beginners Slack Chat Room. The best React course for Beginners in 2019. Front-End Web Development with React by The Hong Kong University Of Science And Technology explores the React library in detail. This is one of the most comprehensive React courses and will help you learn React online. Jogesh K. Muppala is your instructor. The suggested time to complete this tutorial in about 32 hours. You will explore various aspects of Redux and use it to develop React-Redux powered applications. This React online course uses Reactstrap for Bootstrap 4-based responsive UI design. React router training is provided as React router is used for developing single-page applications. You will make use of Flux architecture. 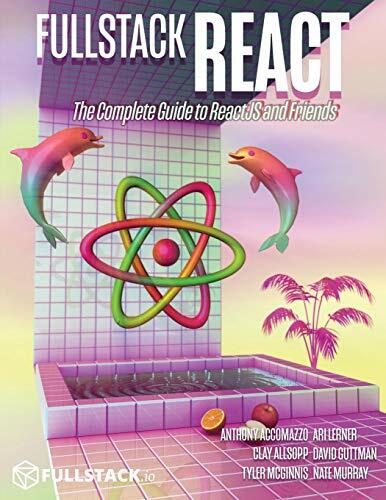 The best Full-Stack React tutorial in 2019. Studied by over 40,000 students. More than 33 hours of React.js videos. Some may find it very long. The best regularly updated React 16.6 tutorial in 2019. Modern React with Redux by Stephen Grider will teach you the fundamentals of React 16 and Redux. You will learn how to build amazing single page applications with React 16 and Redux. This Redux and React.js tutorial will start you off by mastering the Reactjs fundamentals including JSX, “props", “state", and eventing. The difference between Props and State are explained are explained in this React framework tutorial. You will master the process of breaking down a complex React component into multiple smaller components. You will learn Redux and its features including reducers, actions, and the state tree. Used by over 118,000 students. The most popular React.js tutorial ever. 18 hours of React.js lessons. Could be more detailed in some parts. The best React Redux course in 2019. The Complete React Web Developer Course (with Redux) by Andrew Mead starts with the fundamentals and covers everything you will need to build and launch React apps. This React app tutorial will teach you to make use of React 16, Redux, Webpack, React-Router v4, and more. This complete React app course is focused on teaching you React programming to build you into a professional React developer. You will learn to develop, test, and deploy real-world React applications. Over 18 sections you will learn a multitude of React features and tools. These include: React, Redux, React-Router, Webpack, Babel, Testing with Jest, Enzyme, App Debugging, App Deployment, Firebase, Authentication, Git/GitHub, ES6/ES7 and more! You will build two React apps in this React online tutorial. The first example React app will teach you the fundamentals of React. The second sample React app will teach you all the real world features of a React app including authentication, user accounts, routing, testing, form validation, database storage, and more. Used by over 30,000 students. 36 hours of React lessons. Some may consider course to be too long. Great React course to become a professional in 2019. 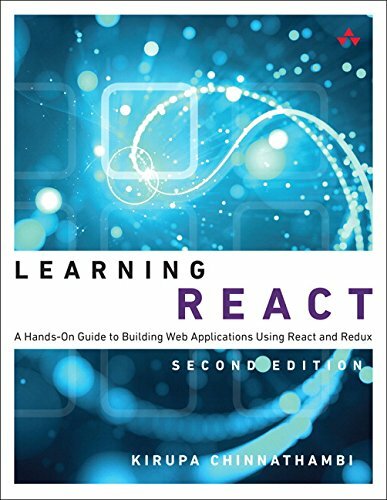 Advanced React and Redux by Stephen Grider is a detailed guide to advanced React and Redux. You require basic knowledge of React and Redux before starting this. The advanced React and Redux concepts taught include Authentication, Testing, Middlewares, Higher Order Components, and Deployment. This advanced React tutorial will show you how to thoroughly test your React coding including action creators and reducers. Mocha and Chai is used for your testing environment. You will write a popular Redux Middleware from scratch to handle asynchronous actions. This Redux tutorial will help you learn the differences between cookie-based and token-based authentication. You will master Authentication by building a server with enterprise-grade authentication from scratch. The React and Redux project you build will be a scaleable API with authentication. It will make use of Express, Mongo, and Passport. Bought by over 39,000 students. 12 hours of React.js lessons. Authentication is taught very well. React.js and Redux experience required. The best advanced React.js Redux tutorial in 2019. Node with React: Fullstack Web Development by Stephen Grider will teach you how to build and deploy fullstack web apps with NodeJS and React. You will also use Redux, Express, and MongoDB. This Fullstack React.js tutorial will teach you how to create boilerplate starter projects with React, Redux, Express, and MongoDB. You will learn the architectural considerations of building a full-stack app with React. You will start off with connecting a front-end Create-React-App server to a NodeJS and Express backend, then communicate data from MongoDB to your React app. You will build reusable user inputs using Redux Form complete with navigation. This React.js and Node.js tutorial will teach you how to route user requests on the front-end with React Router and on the backend with Express.js. You will use Stripe, Google OAuth and advanced API key handling techniques. MERN(MongoDB, Express, React.js & Node.js) stack is mastered. Over 25 hours of content. The best React.js & Node.js tutorial in 2019. GraphQL with React: The Complete Developers Guide by Stephen Grider will teach you how to build amazing single page applications with React.js and GraphQL. You will master the ecosystem supporting GraphQL, including Apollo and Relay. This React interactive tutorial will teach you to integrate ReactJS and GraphQL. This React.js and GraphQL tutorial will teach you to combine a backend server with ReactJS on the front end. You will master fundamental concepts behind structuring GraphQL servers. These servers can be used with React.js and React Native applications. You will learn the core principles of navigation with React Router and GraphQL. This React.js and Graphql course teaches how to master authentication with GraphQL. Used by over 18,000 students. The best React.js & GraphQL tutorial for beginners in 2019. Server Side Rendering with React and Redux by Stephen Grider will help you learn to build React, Redux, and React Router apps using Server Side Rendering (SSR), Isomorphic, and Universal JS techniques. This advanced React.js tutorial is not for beginners. You must be familiar with React, Redux, React Router, and Express. You will understand the challenges of Server Side Rendering. This Server Side Rendering tutorial will teach you to use React, Redux, and React Router to conquer SEO (Search Engine Optimization). You will combine React 16, Redux, React Router, and Express technologies to build a server-side-rendered web application. Master React 16, Redux, React Router, and Express. Used by over 7,000 students. 8 hours of React.js videos. React.js, Redux, React Router & Express experience required. The best Server Side Rendering (SSR) React.js tutorial in 2019. Meteor and React for Realtime Apps by Stephen Grider will teach you how to build apps with Meteor and React. You will master the fundamentals of Meteor and React. This Meteor and React Tutorial will teach you how to quickly build amazing single page applications with Meteor and React.js. You will master the fundamental concepts behind structuring Meteor applications. You will learn how to secure your application, set up user authentication and permissions using Meteor. Using React.js, you will render your Meteor data. Then you will master the process of breaking down a complex component into many smaller, interchangeable components in React. This React.js tutorial will help you grasp the difference between React Props and React State and when to use which. Used by over 8,000 students. Build Fullstack Meteor & React.js apps. Hasn't been updated in a while. The best React.js & Meteor tutorial in 2019. Used by over 54,000 students. Could be longer in length. The best project based React & Redux tutorial in 2019. React VR weather app with APIs. You will learn publish your React VR apps online. Used by over 5,900 students. The best React VR tutorial in 2019. You will start with an introduction to React and move onto learning what is JSX. Then, you will make React interactive with states. 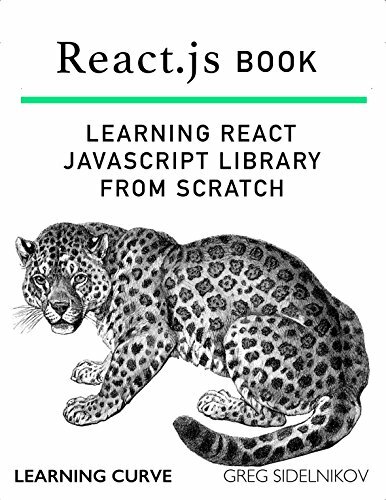 This React.js book will teach you React Component Lifecycle Events, scaling React components, React event handling, React forms, Redux and unit testing with Jest. You will build React apps with GraphQL, Node, Express, Jest, MongoDB and more. 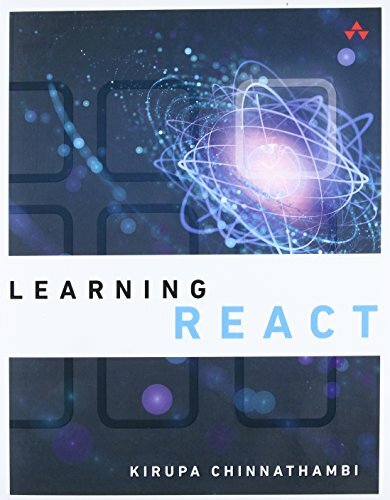 This is one of the best react books to learn React quickly in 2019. 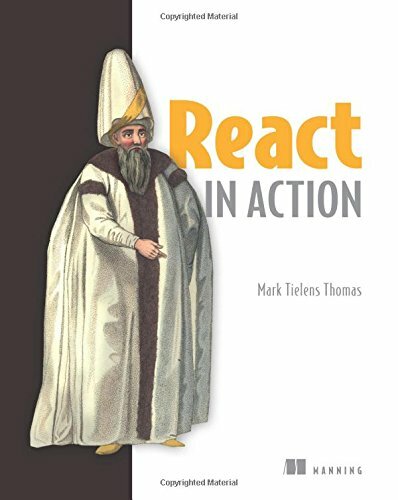 This is one of the best Fullstack React books in 2019. 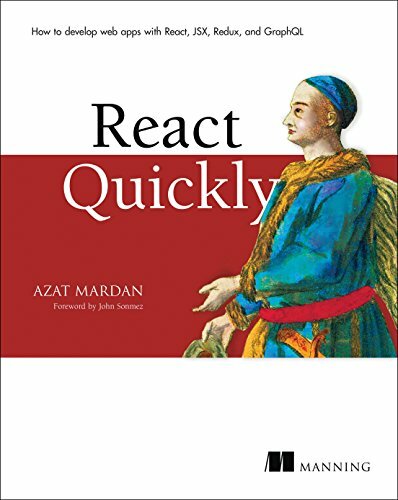 This is one of the best React books for beginners in 2019. 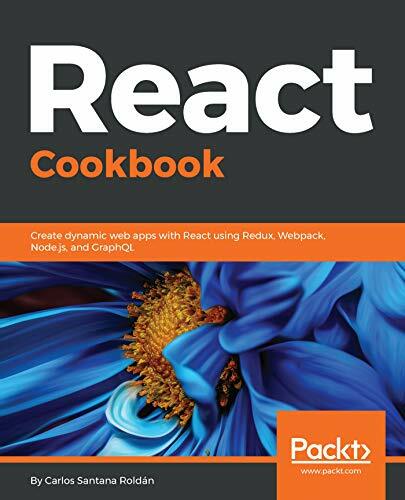 This is one of the best React cookbooks in 2019. 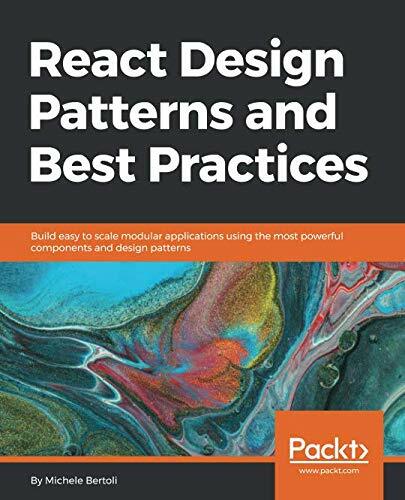 This is one of the best react design patterns book in 2019.